Stainless steel case with a stainless steel bangle bracelet. Fixed stainless steel bezel. 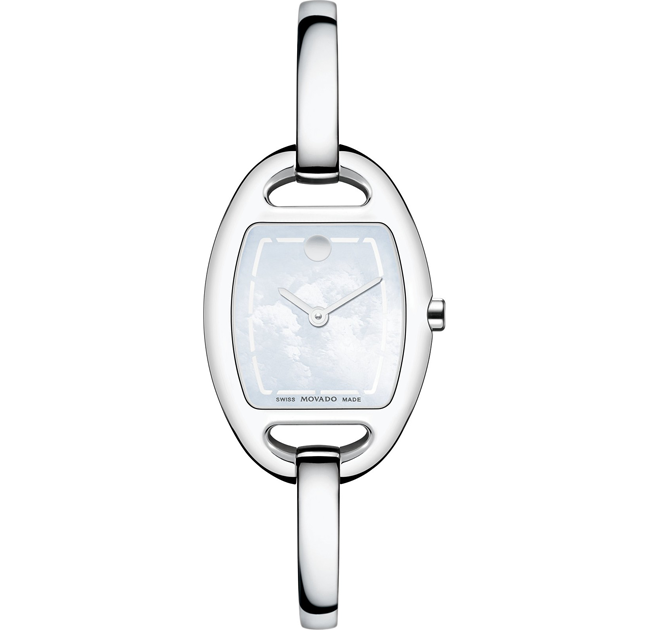 Mother of pearl dial with silver-tone hands. 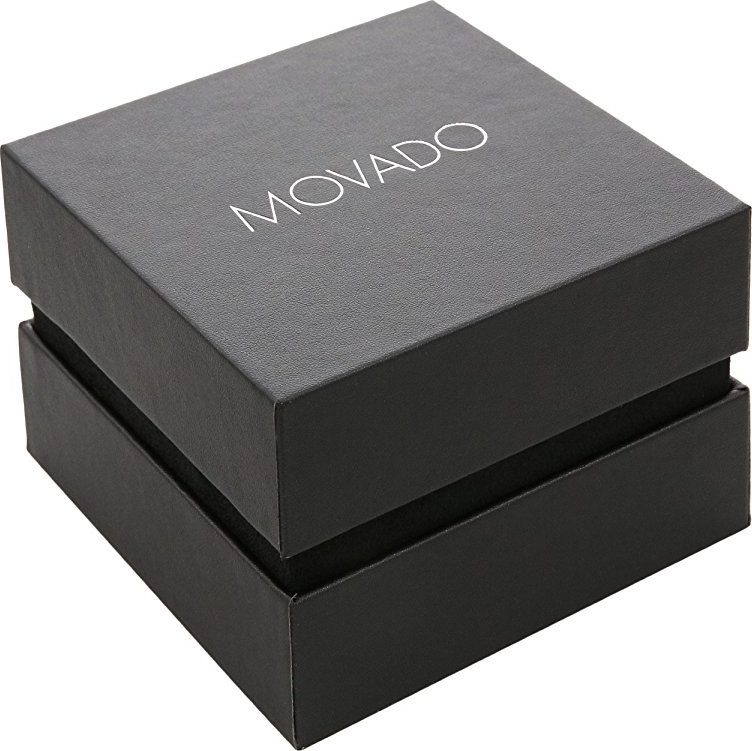 Movado dot marks the 12 o’clock position. Dial Type: Analog. Quartz movement. Scratch resistant sapphire crystal. Pull / push crown. Solid case back. Case diMen’sions: 23.5 mm x 30 mm. Case thickness: 6.3 mm. Tonneau case shape. Band width: 4.5 mm.